Solution: The following picture represents a sample of gas at a pressure of 1 atm, a volume of 1 L, and a temperature of 25°C. 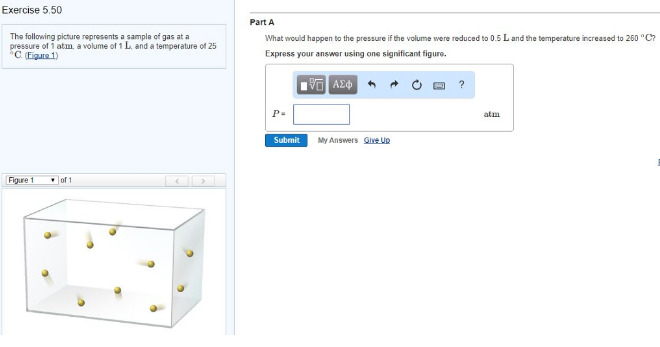 (Figure 1)What would happen to the pressure if the volume were reduced to 0.5 L and the temperature increased to 260°C? Express your answer using one significant figure. What would happen to the pressure if the volume were reduced to 0.5 L and the temperature increased to 260°C? Express your answer using one significant figure.